Voids in walls, or empty spots between the studs of your wall, are impossible to see with the naked eye and the extremely important in home heating. By using infrared camera’s, our technicians are abled to spot empty spaces in your walls and target those areas with blown-in cellulose. Cellulose is composed of 75-85% recycled paper fiber, usually post-consumer waste newsprint. The other 15% is a fire retardant such as boric acid or ammonium sulphate. 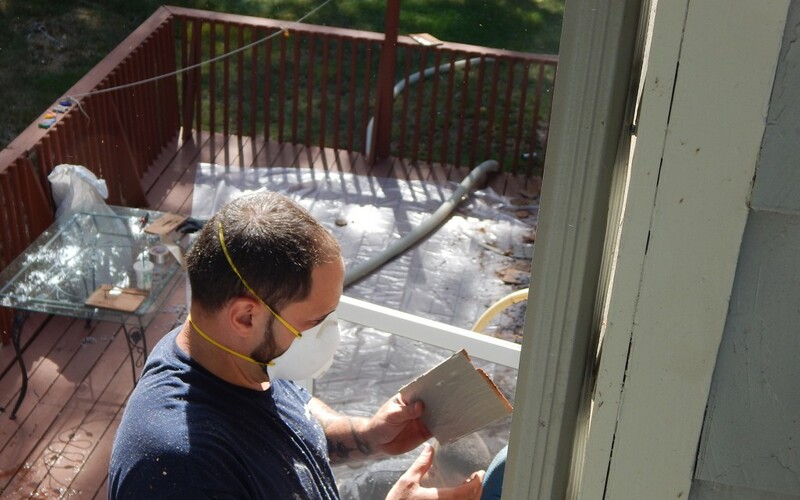 By packing in Cellulose, we stop air from filling those gaps and either radiating heat into your home, or pulling the heat out, depending on the current temperature outside. 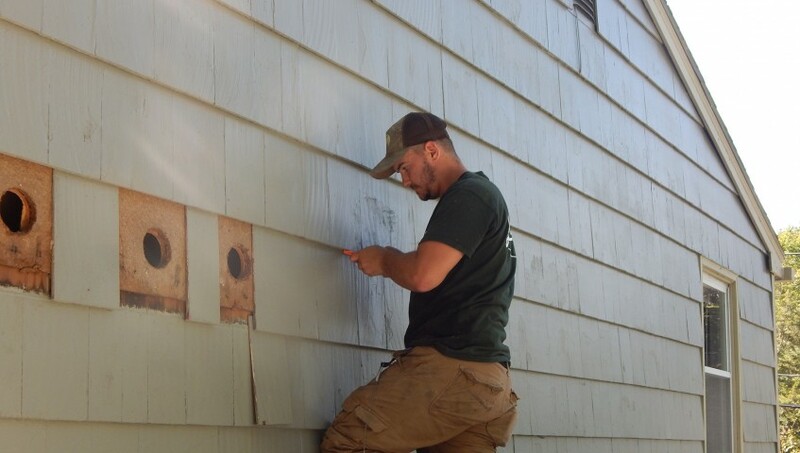 We begin wall insulation by removing the siding whether it be vinyl siding, clapboard, shingles, or aluminum. 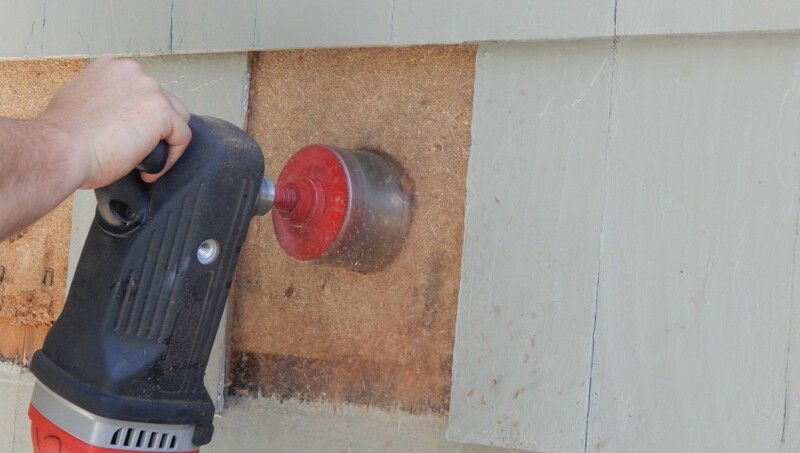 Once the siding has been removed and set aside, we drill a 3″ hole into the 16″ section of wall. 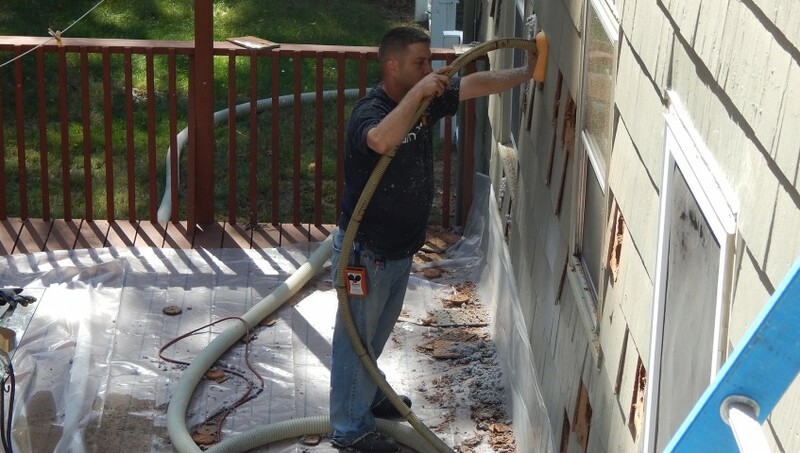 Once a couple holes have been drilled into the walls, our insulation technician begins snaking a 2″ hose up the wall until we reach the top of the wall, and begins filling it with cellulose. Once the wall is full, the technician will proceed to fill the rest of the walls, circling back to the original hole. 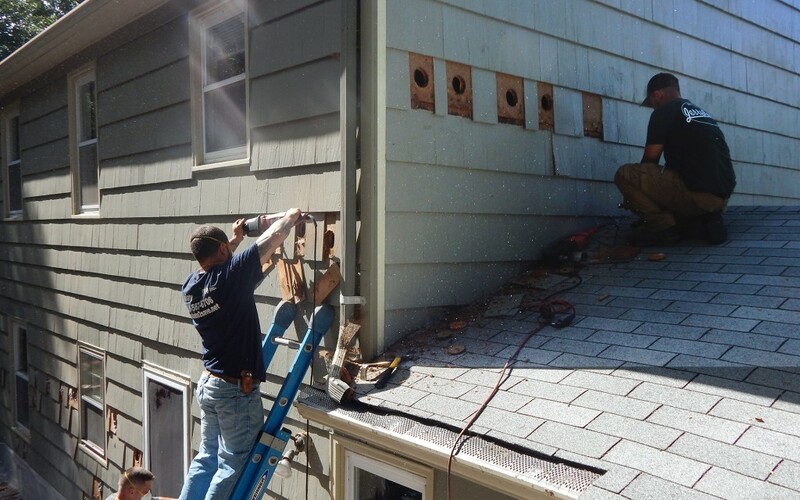 Once the floor is completed, we fill the hole with a exact size styrofoam disc into the hole and replace the siding.